6 Bedroom Detached House For Sale in Hertfordshire for Price on Application. The property lies behind a five-bar gate which reveals a gravel forecourt with ample parking space for several cars. Entering through the front door, one can appreciate that this house is an architectural gem. It retains many of its original features and feels like a step back in time. The tessellated flooring is stunning and leads to a dining room on one side and living room on the other. Both rooms are double-aspect and have bay windows and fireplaces. At the far end of the hall, doors lead to the morning room and the kitchen/breakfast room with its flagstone flooring, then onwards to the large utility room, larder and store. The staircase is panelled to the side and has a beautifully carved bannister. It opens onto the landing on the first floor and three large bedrooms. The current owners have created a partition within one of the bedrooms to create a fourth, smaller room. Additionally, there are two family bathrooms. The second floor is home to a well lit, self-contained flat with its own separate access to the rear of the property. There is enormous potential to develop the property generally subject to obtaining local authority permission. 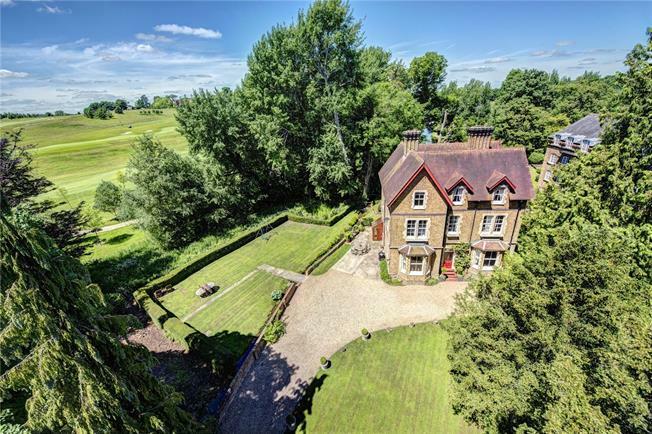 Views from the upper floor across neighbouring countryside and the golf course instil a wonderful sense of height. The sitting room and kitchen are both double-aspect. There are two generous bedrooms and a spacious dining room spanning the depth of the house. As well as enjoying semi-rural views, the property is close to Watford town centre and its excellent selection of restaurants and shops, including the Intu Shopping Centre. There is a wide choice of well-regarded state and private schools in the local area, including Watford Grammar Schools for boys and girls, Cassiobury Junior School and Nascot Wood Junior School. The true charm of the property lies in its remarkable grounds, its proximity to the Grove golf course and the canal which is strewn with lilies. Most of the gardens are laid to lawn. An interesting feature is the air-raid shelter, bedecked with foliage, which serves as a garden store. This would offer development potential subject to planning permission and local authority consent. The Old Mill House was built in the late 19th century. It is an impressive building of yellow stock brick with red brick banding and arches as well as unusual detailing to consoles supporting the first floor window sills. It forms part of the Grove Mill Lane Conservation Area because of its historic significance. The neighbouring former corn mill is believed to have been in operation at the time of the Domesday Book. 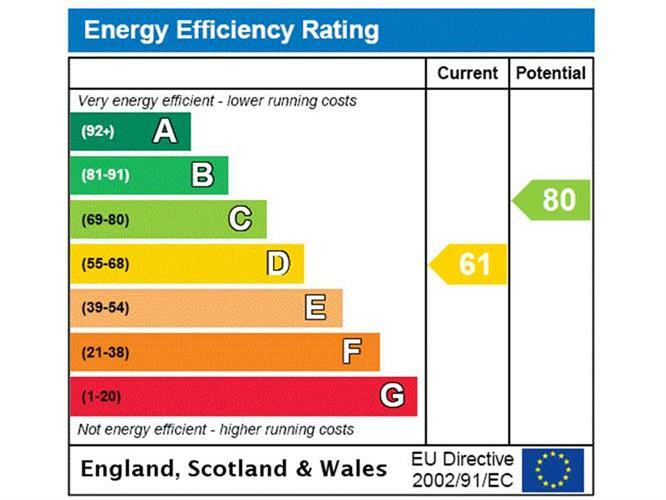 EPC for 2 The Grove Mill: Current:D. Potential: C.
EPC for Upper Flat: Current: D. Potential:D.